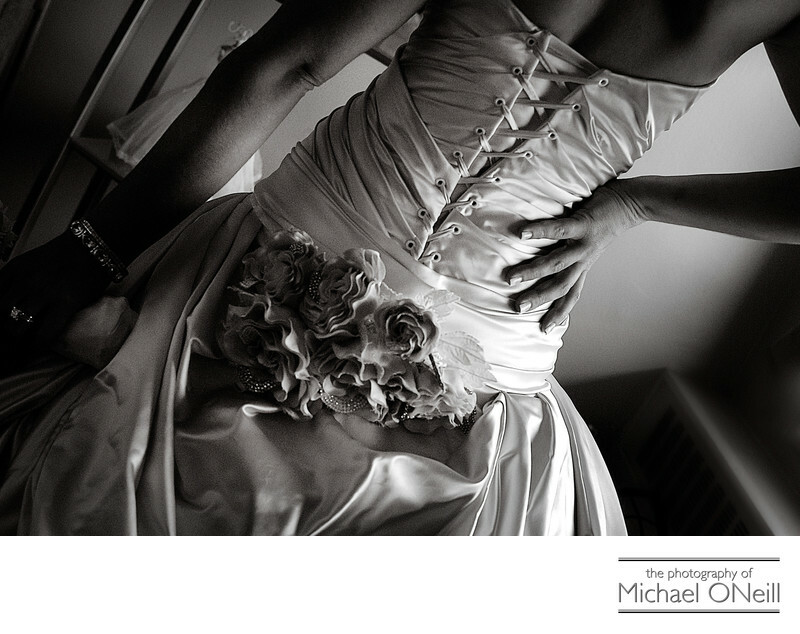 Everything old is new again and Black and White wedding photography has certainly made a strong comeback. The vintage feel that good black and white processing lends to an image is awesome. Good black and white photographs are not easy to create. We’re not talking about some "one click" Instagram effect when we talk about superb black and white pictures. We’re talking about capturing many shades of grey from rich, dark blacks, to bright whites and 9 shades of gray in between. Simply taking the color out of a photograph does not make it a good black and white image. When you look at the detail in this photograph...the pleats, eyelets and laces in this amazing wedding dress...you are looking at extraordinary black & white wedding imagery. No, you don’t get this from one click of your mouse; you get it from decades of experience in the darkroom from the film era...and knowing how to achieve that classic look in today’s digital darkroom. If you are a fan of black & white wedding photos and want to make them a big part of your finished wedding photographs be sure to choose a wedding photographer who has the technical and esthetic abilities to create timeless photographs for you to enjoy for years to come.